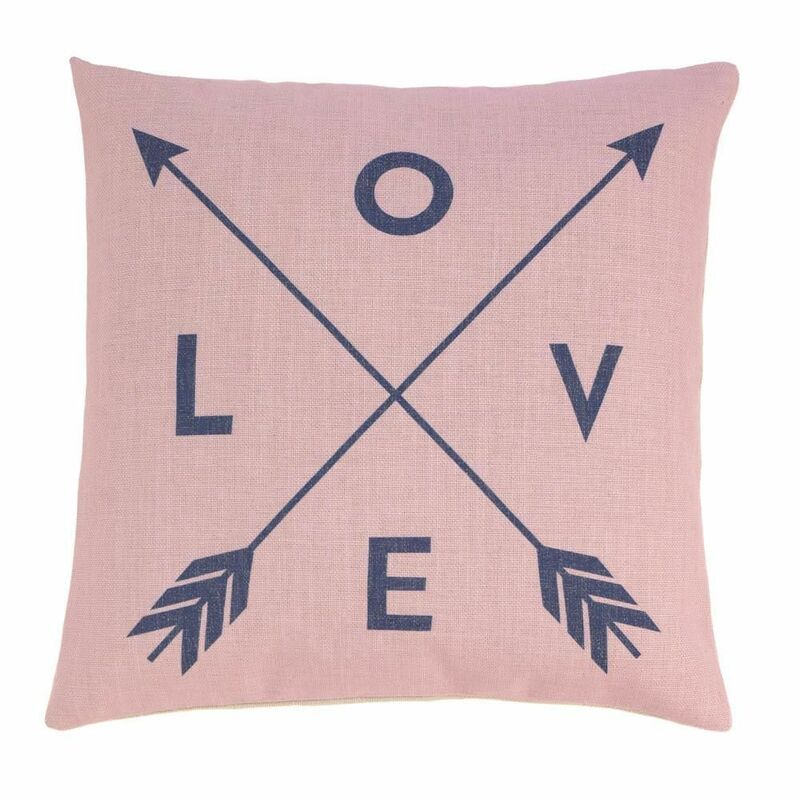 A pair of love arrows symbolizes love and affection and softly rests upon a pink background. It's amazing what a pillow can do to complete a room, let alone a whole collection of them. 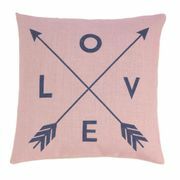 Arrows and lettering are a dark navy and pair well to create the perfect accent for bedroom or living room. Zippered polyester cover for easy removal and cleaning. Machine wash cold. Do not bleach. Do not tumble dry. Iron low heat.